Koei's latest strategic fighting epic with a Western twist has arrived on the XBox 360 which allows gamers to control a "rogue commander" who puts them in control of a mercenary army in turn assisting either the French or the English for their own personal needs. Similar to Koei's Dynasty Warrior series, Bladestorm: The Hundred Year War features Western history as opposed to Chinese history and gives the player access to a variety of units which include elephants, cannonries and your standard infantry units to name a few. Bladestorm: The Hundred Years War really draw's you from the first moment the game is loaded from its amazing CGI introduction which feels like a Hollywood blockbuster set during the medieval times. 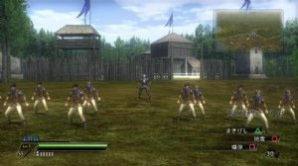 Although Koei have inputted elements of the Dynasty Warriors into Bladestorm, the title deviates slightly from this path as gamers control a powerful commander who can perform all the heroic feats of his Asian counterparts but in this current incarnation, your character can order other units which will shape the tides of war. These units under your control can perform a variety of maneuvers which assist the player in completing their objectives and missions. Koei have really upped the ante with the strategic aspects of this game which allows for some interesting gaming, depending on whether you use a defensive, offensive or a mixture of both in your tactics. The units that you control all add to the atmosphere of the title with each unit having their pros and cons and assists in the replayability of the title. There is also an RPG element of the title and between missions or "contracts", your character can purchase a variety of weapons and equipment and distribute experience points. My favourite aspect of Bladestorm: The Hundred Years War is the ability for the gamer to purchase banners which are used as temporary powerups to boost your forces on the battlefields. 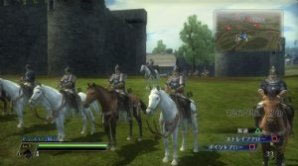 Graphically, Bladestorm: The Hundred Years War is quite impressive on the XBox 360 from its realistic and amazing CGI cutscenes to its highly detailed in game graphics with some highly realistic looking textures. The attention to detail on the small things in the game assists in the overall enjoyment and graphical power of the title with animals frolicking in the forests to the stylised lighting and weather effects. 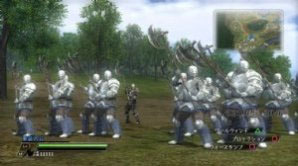 Musically, Bladestorm features a majestic orchestral soundtrack that changes throughout the different sections and battles in the game. The sound effects go hand-in-hand with the graphics and gameplay and once again that over the top voice acting by Koei makes an amusing return. It would pay Koei to organise some professional voice acting but at the end of the day, it would take away that "magic" of Koei's strategic fighting titles. In conclusion, Bladestorm: The Hundred Years War will definitely draw a plethora of new gamers into the Dynasty Warrior franchise with this European incarnation. Sturdy gameplay, great graphics and a very highly addictive title, Bladestorm: The Hundred Years War is definitely a title for those who enjoy strategic light titles with a healthy dose of arcade fun.